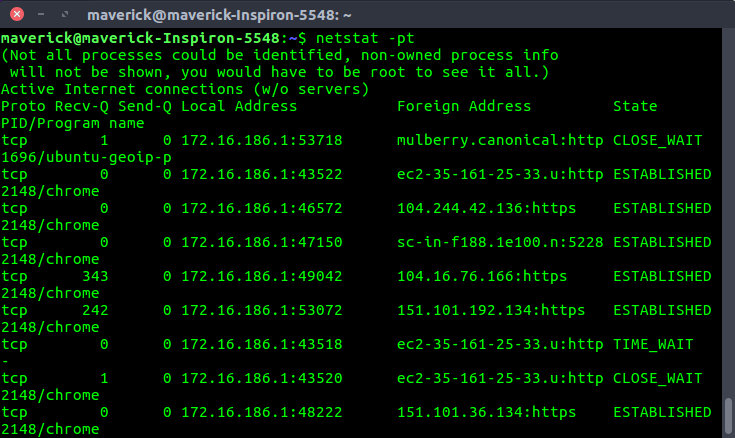 # netstat -at : To list all tcp ports. 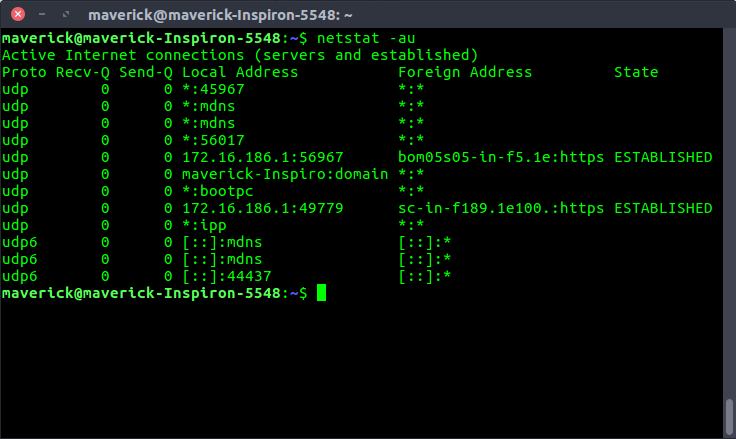 # netstat -au : To list all udp ports. 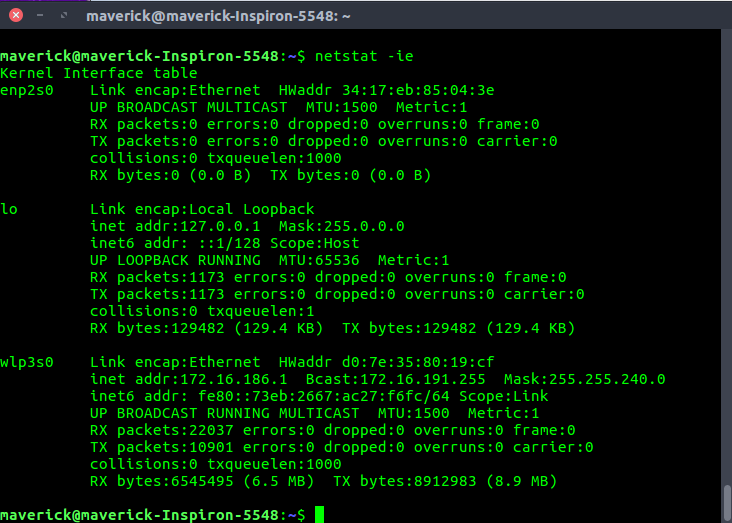 # netstat -l : To list only the listening ports. 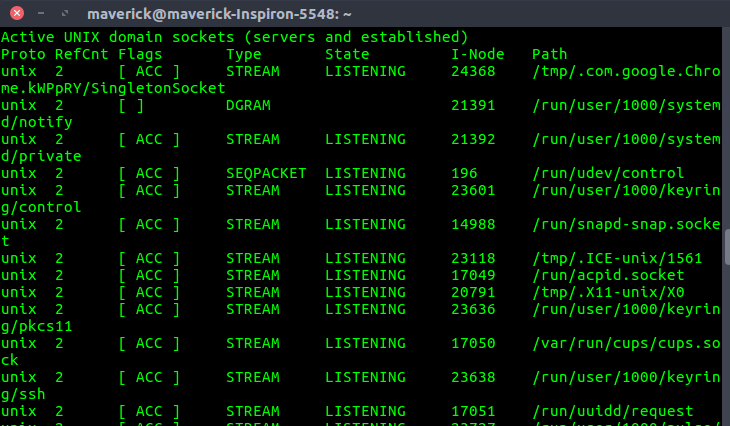 List only listening TCP ports. 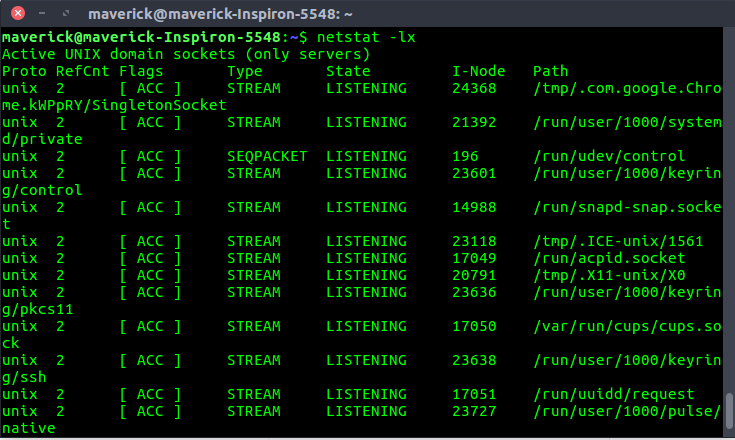 # netstat -lt : To list only the listening tcp ports. 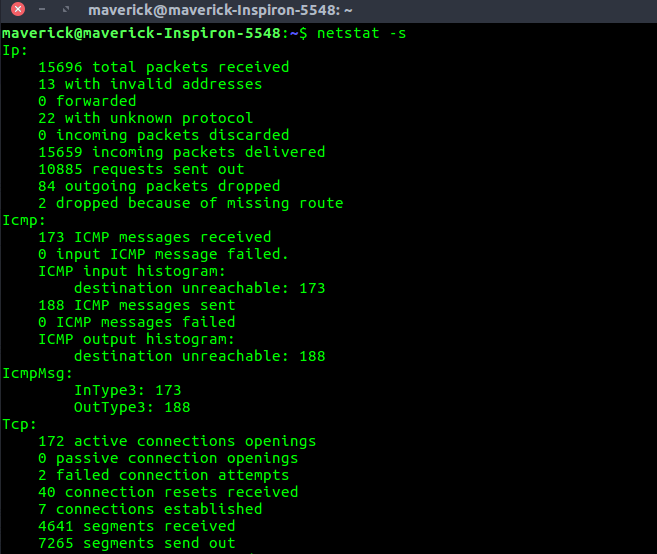 List only listening UDP ports. 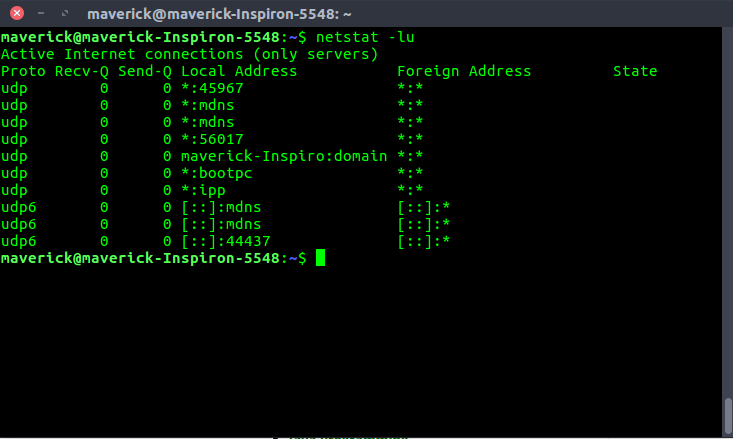 # netstat -lu : To list only the listening udp ports. 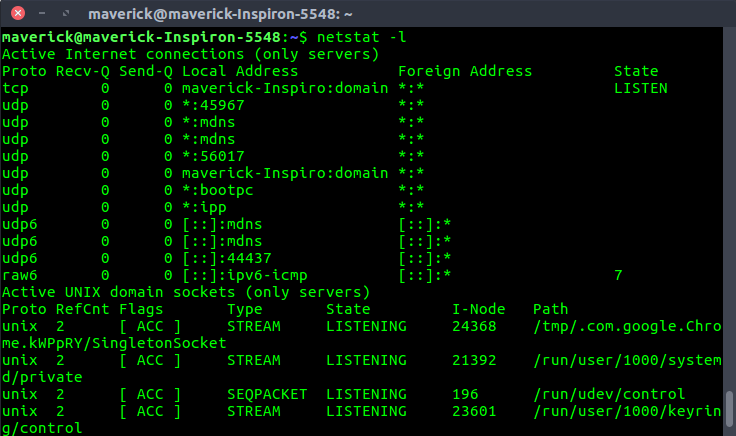 # netstat -lx : To list only the listening UNIX ports. List the statistics for all ports. 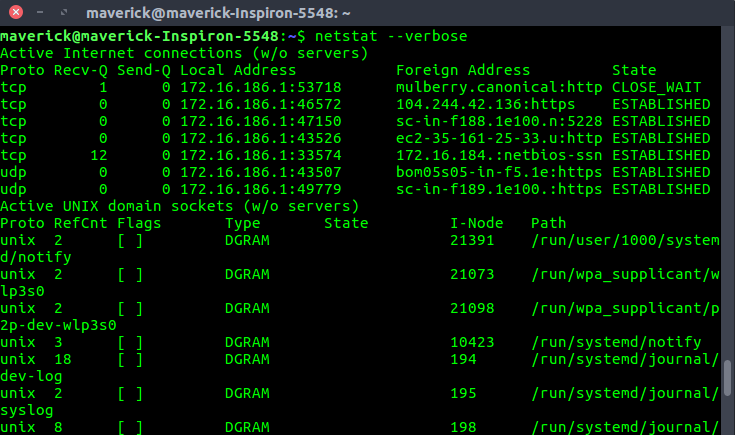 # netstat -s : To list the statistics for all ports. 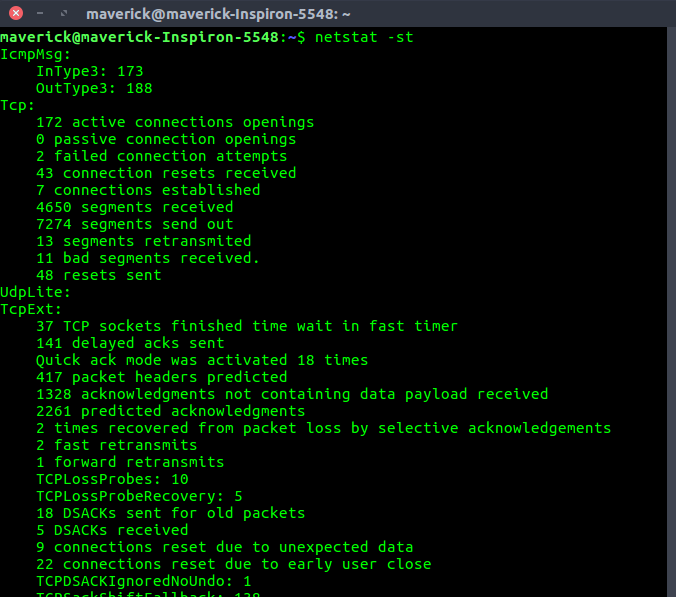 List the statistics for TCP (or) UDP ports. 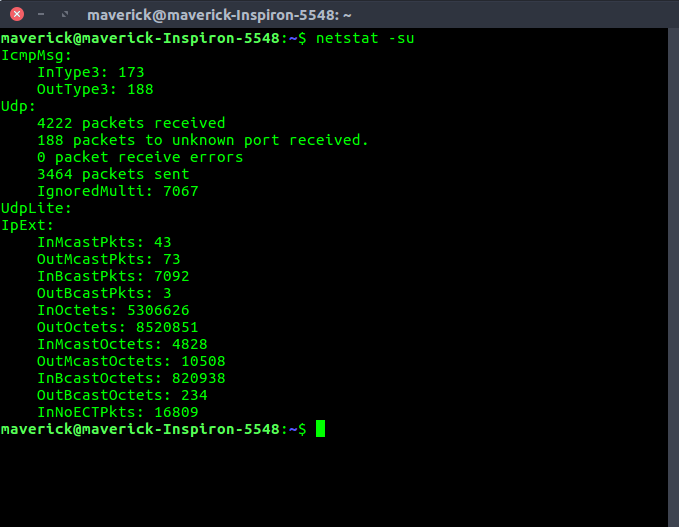 # netstat -st(TCP) : To list the statistics for TCP ports. 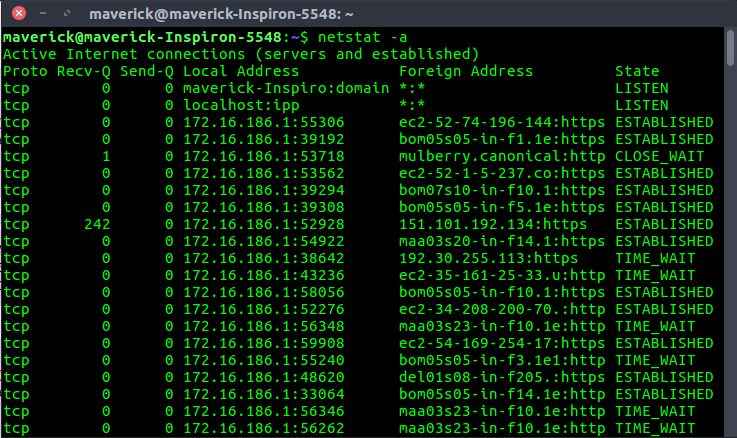 # netstat -su(UDP) : List the statistics for UDP ports. 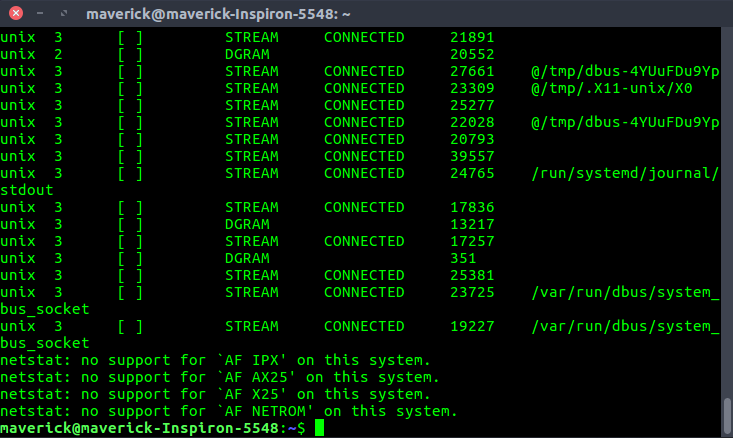 Display PID and program names in the output. 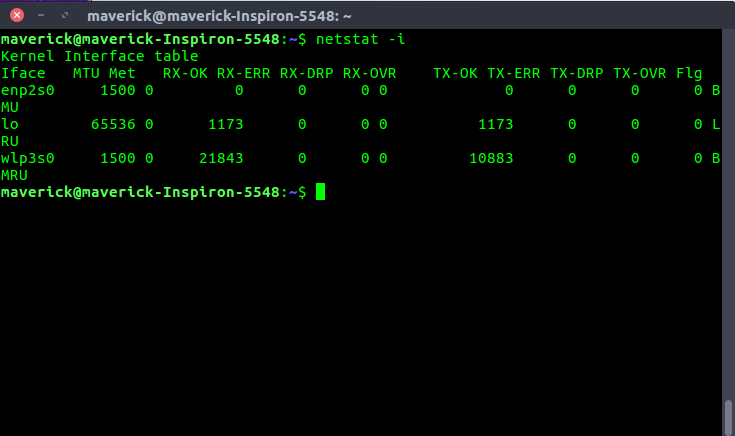 # netstat -pt : To display the PID and program names. 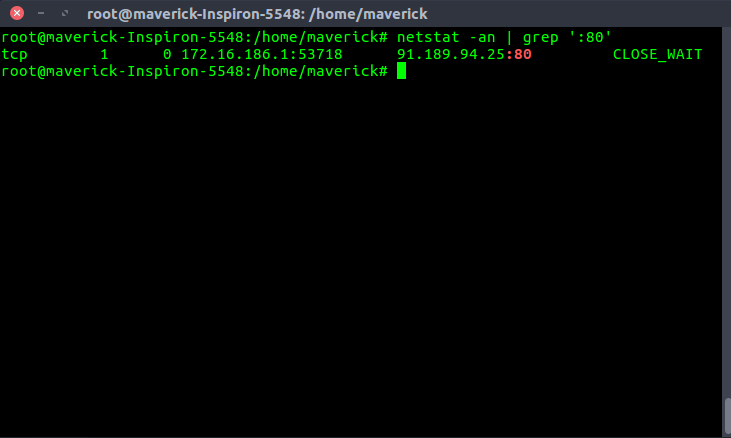 Print the netstat information continuously. 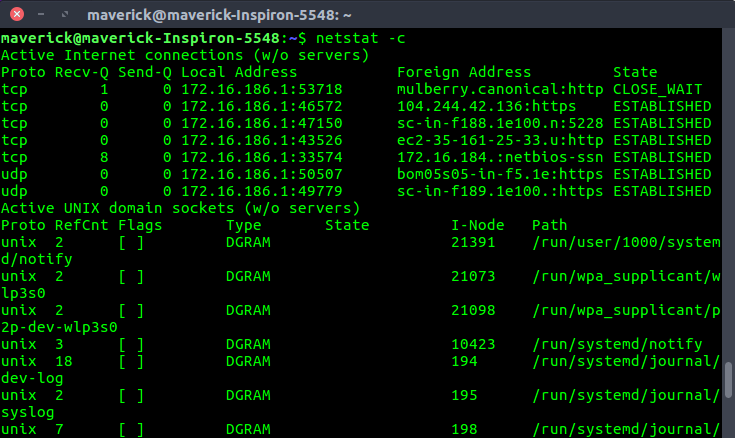 # netstat -c : To print the netstat information continuously. The non-supportive address families in the system. address families in the system. 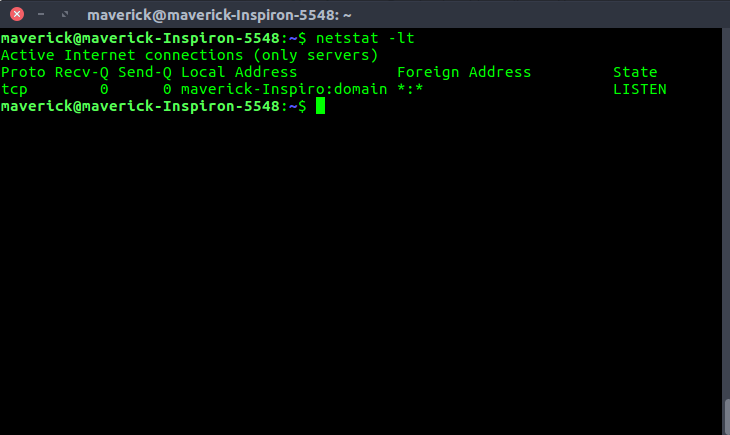 # netstat -r : To get the kernel routing information. 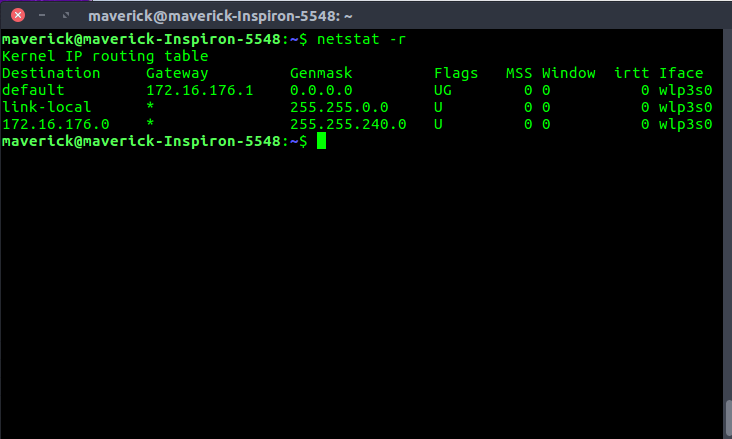 The port on which a program is running. on which a program is running. which is using the given port. 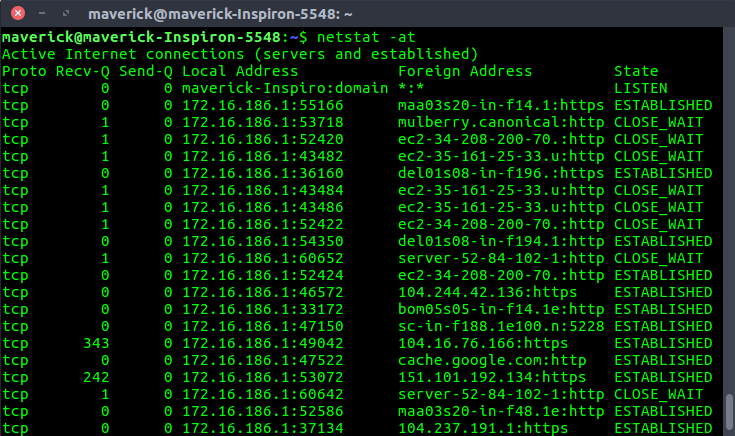 # netstat -i : To get the list of network interfaces.